$595. 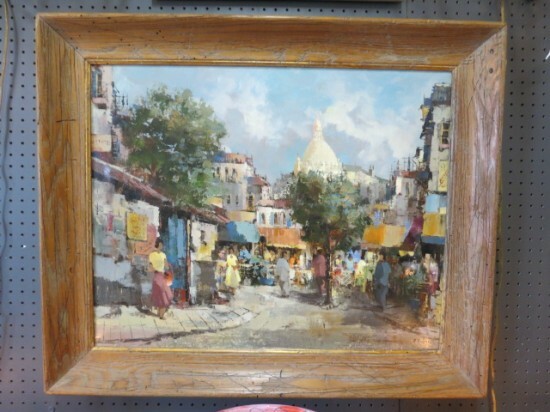 Vintage antique Paris impressionist street scene oil painting with Notre Dame, c. 1900s. 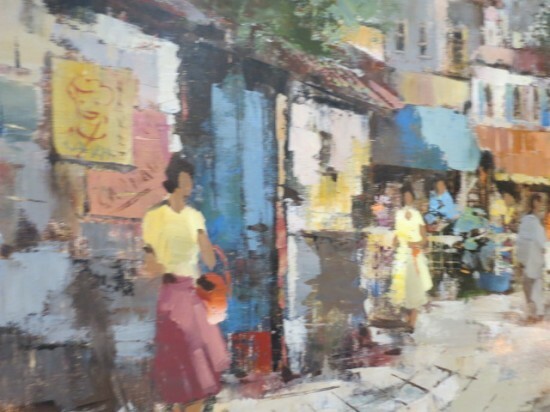 oil on canvas with shops and cafes with people walking and Notre Dame in the background. 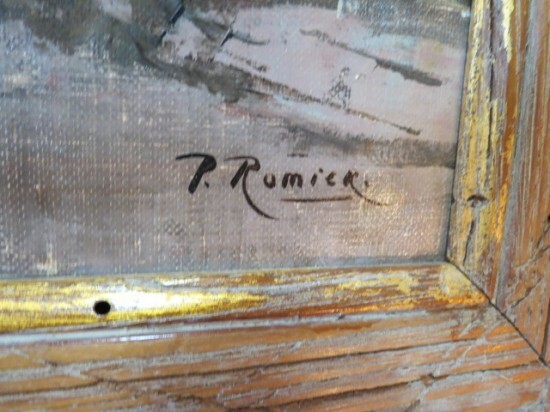 Signed P. Romier, a French painter. Colors are brown, blue, orange, yellow, green, beige. 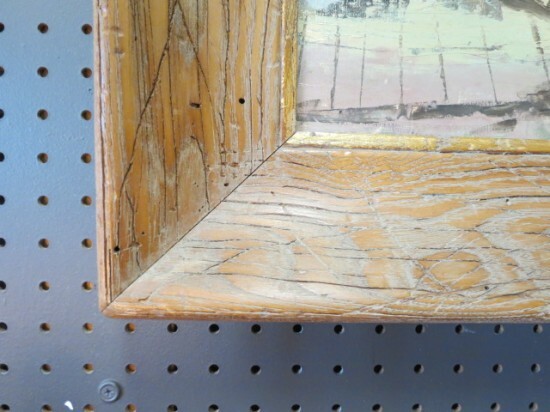 Distressed wood frame. 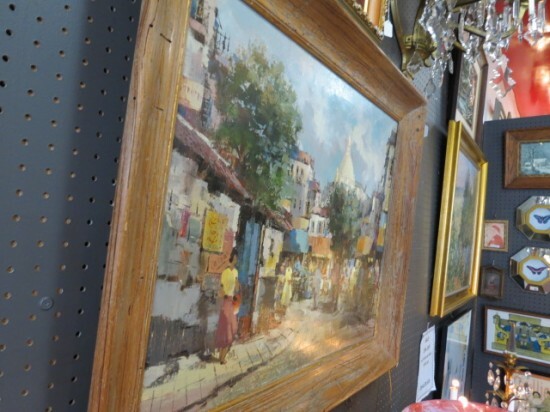 Perfect for your living room. Excellent condition. 36.5in wide, 30.5in tall, 3in deep. Shipping not included in item cost.